In the current market dynamics, large enterprises, as well as small startups, use a plethora of strategies to grow further. Whether your company is just starting up or has reached the point of maintaining a well-established customer base, it’s important to stay up to date with the most current marketing trends and techniques for your eCommerce business. Structuring and finally launching an eCommerce website is a milestone achievement for your brand. Therefore, it’s crucial to invest in certain features and tools that are crucial to your marketing success. 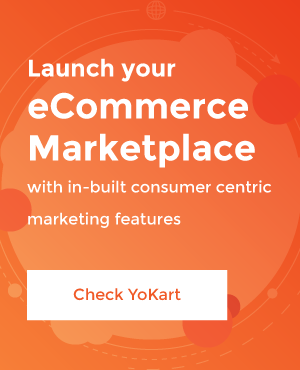 The above-mentioned goals are integral to the success of an ecommerce marketplace. They not only ensure sustainable growth but also better profits over a longer period of time. Let’s examine a few such features and tools that work behind the scenes to help you market and sell your goods digitally while running a successful online business. For an online business, ecommerce website or any other brand, landing pages have become an integral part of conversions and creating more sales. In the marketing realm, it’s usually a standalone page, distinct from your homepage or any other page, that serves a single and focused purpose. For any online business or brand, achieving success without a landing page has become unattainable. However, there are certain aspects of a landing page that one must always keep in mind. Collecting data from landing pages is one thing, but analyzing that data and using it to the benefit of your ecommerce website is a whole different aspect. For that, you need a robust CRM which can integrate third party tools mentioned above, seamlessly. It basically consolidates all the information pertaining to the customer and documents it into a single file CRM database, making it easy for online businesses to access and manage it. Nowadays for ecommerce businesses, it is all about increasing sales and revenue using different marketing strategies, and email is one of the most effective mediums to ensure better sales. Several studies have shown that targeted email marketing has better success rate than social media marketing. Rather than bombarding customers with emails if you incorporate certain strategies around your email marketing campaign, then it would surely bring immense results. Most of the online businesses, nowadays use clever marketing techniques such as remarketing to connect with visitors who did not make an immediate purchase or inquiry on their website with the use of targeted ads. For example, if a user is searching for a bluetooth speaker but does not buy it from ecommerce site A, that user would then end up seeing ads pertaining to bluetooth speaker while browsing other websites. He/she browses other websites where they see targeted ads pertaining to the product they browsed on website A. They come back to website A after clicking on these targeted ads thereby completing the purchase. This type of remarketing or retargeting is highly effective as the users are bombarded with ads related to their interest in products. Studies show that the conversion rate of targeted ads is really high and the ads also help minimize shopping cart abandonment. Another aspect to keep in mind is that social media has effectively combined remarketing into their core advertising strategy. Facebook has started to provide support for these targeted ads, allowing ecommerce websites to position ads in front of the desired audience. It is a known fact that customer support is one of the biggest triggers that can either make or break an online business especially ecommerce. More than 60% online consumers say that they are more likely to return to an ecommerce website that offers live chat. From live chat to email support, having a dedicated marketing strategy around customer support can give a huge boost to your sales as well as ensure customer loyalty towards your ecommerce marketplace. If you are able to offer a formidable customer support service to your visitors, then it not only increases conversion rate but also enhances retention rate. As the competition in the ecommerce sector increases, it comes down to certain marketing strategies that can ensure the success of online businesses. 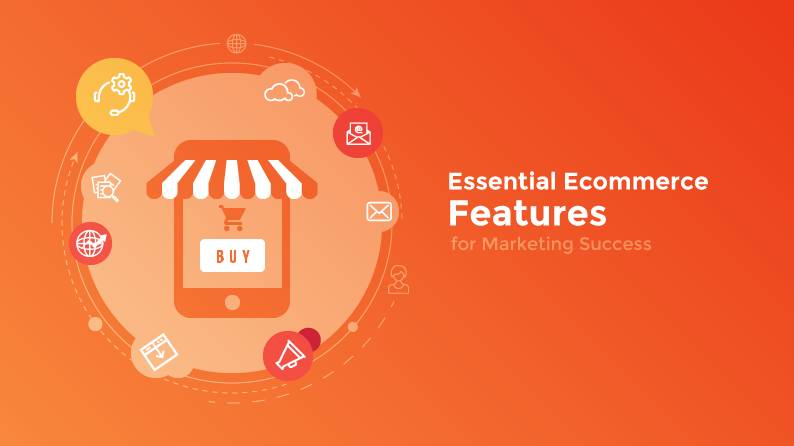 The features and tools mentioned above have become paramount in marketing success of any online business, which is why one must choose an ecommerce platform which has these tools & features baked into their architecture or at least offers customization to add them.